Our Session 6 pupils at Yarnton and University have started the week by getting to know each other better through a quiz night and city tour. ORA students at Yarnton wasted no time getting to know each other this week at their welcome quiz night in the Long Gallery. Though they have only known each other for a day or so, pupils were quick to form teams and get everybody involved as they waited eagerly for the quiz to begin. With rounds on everything from geography and literature to film and history, there were questions to suit everyone and it was great to see the exceptional levels of teamwork taking place throughout the group. Some learnt valuable lessons about allowing those with subject-specific knowledge to answer, whilst others began to understand the importance of speaking up and overcoming shyness boundaries to help the team. The evening was a wonderful success and staff were pleased to see students laughing and chatting loudly together before they headed to bed. 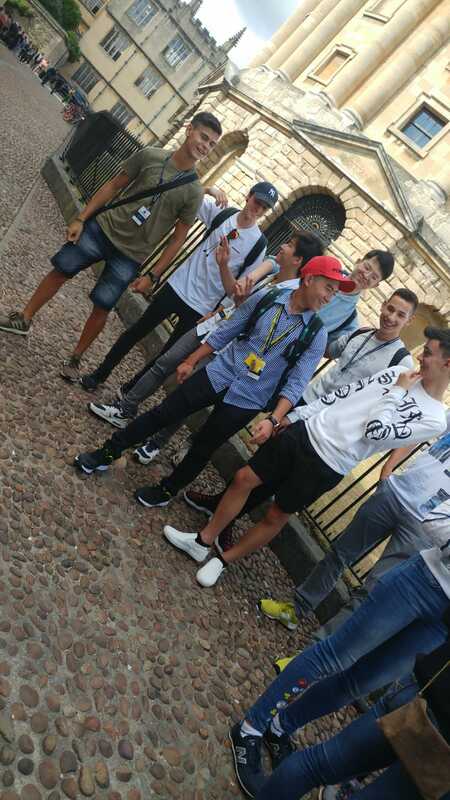 For those at University College, a tour around the stunning Oxford city centre was a popular activity for ORA pupils. Knowledgeable members of staff whizzed students around the iconic landmarks of Oxford, such as the Radcliffe Camera and the Bodleian Library, providing them with fascinating information at each stop. Students were dazzled by the beauty of the city and were surprised to discover the myths and legends surrounding the city. The Bridge of Sighs, for example, was supposedly once closed off after a health survey revealed the Hertford College students were the heaviest in Oxford and thus needed to exercise more by using the stairs! This myth, however, is just that: using the bridge actually increases the number of steps taken, so the story is simply a false legend. Such bizarre and amusing stories are abundant throughout the city and pupils enjoyed hearing the weird and wonderful tales as they gazed at the beautiful architecture. The tour gave everyone a better understanding of their home for the next two weeks and provided the opportunity for students to chat and bond as they went. Keep an eye out on the blog pages to see how ORA students fare in their lessons and workshops over the next few days.